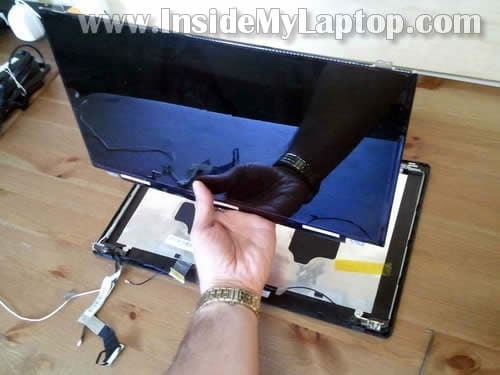 In my example I’ll be replacing the damaged screen in a display panel which is separated from the laptop. I removed the display panel in the previous disassembly guide. 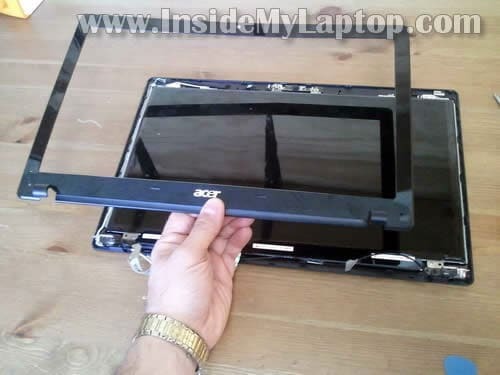 But it’s not necessary to remove the display panel. 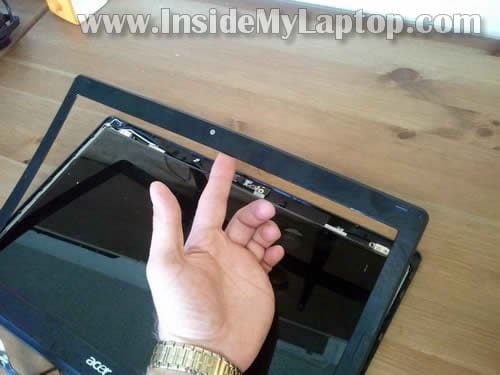 You should be able to replace the screen while the display panel still attached to the laptop. It will be a little bit harder to remove the bezel but possible. Start separating the bezel from the display cover on the top. 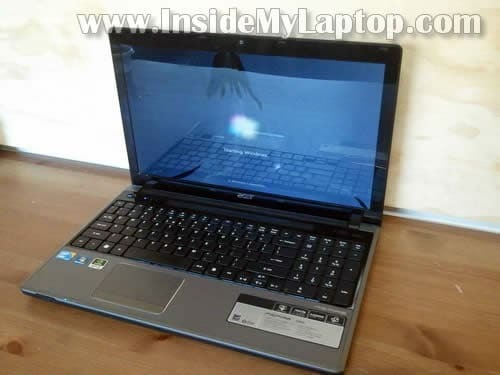 Wiggle the bezel until it’s separated from the cover. 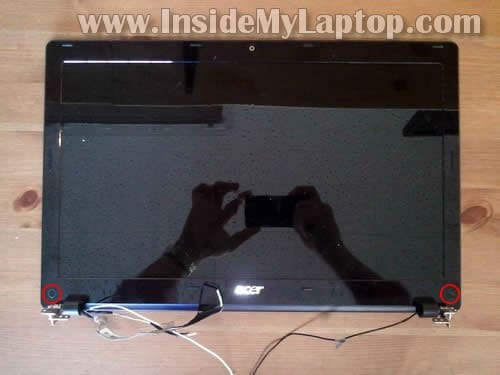 There are many hidden plastic latches holding the bezel attached to the cover. 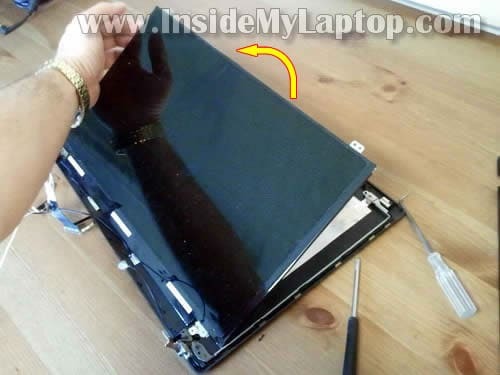 Continue separating the bezel from the cover. NOTE: most likely the bezel will be glued to bottom part of the screen with double sticky tape. Work slowly. Carefully unglue the bezel. 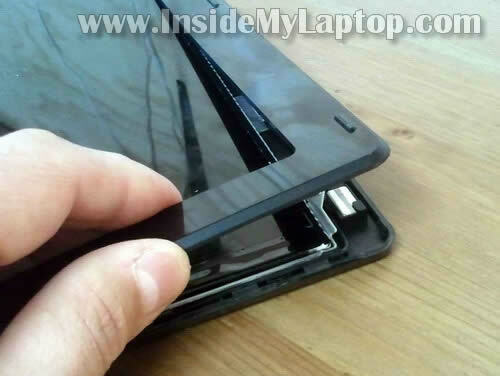 Separate the LCD from the cover so you can access the video cable connector on the back. The video cable can be accessed now. 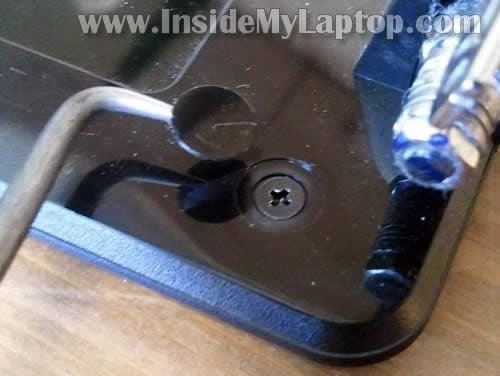 Remove any tape securing the video cable connector and unplug the cable. 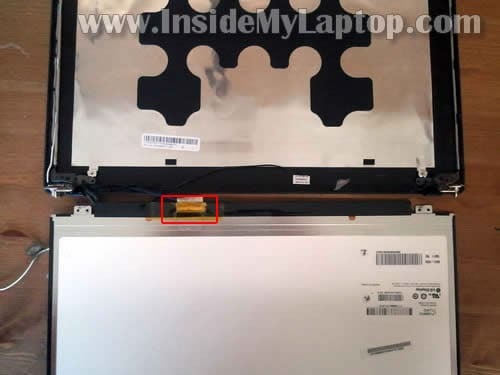 You can search for a new LCD using the model number from the original part. The model printed on the back of the screen. 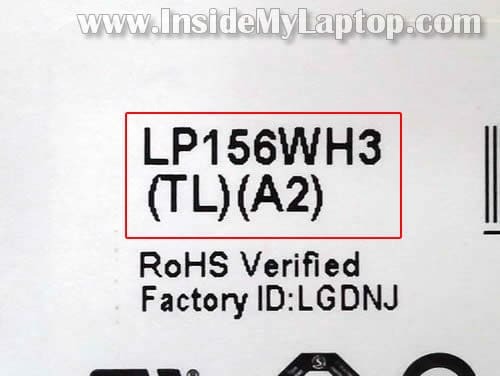 In my case the LCD model number is: LP156WH3 (TL)(A2). I have to replace the LCD cover, but I see that there are some cables soldered. Are they part of the cover and the new cover will is equipped? I’m not sure which wires you are talking about but I guess they are wireless card antenna cables. If the new cover doesn’t have Wi-Fi antenna cables, you’ll have to transfer them from the old cover. 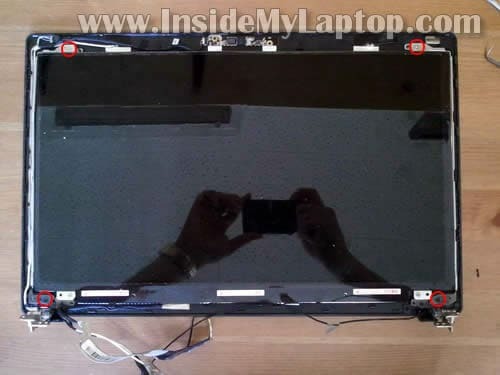 I don’t understand your question, but if you want to UPGRADE your screen from CCFL LCD to LED LCD you cannot do that. great ‘how to guide’. 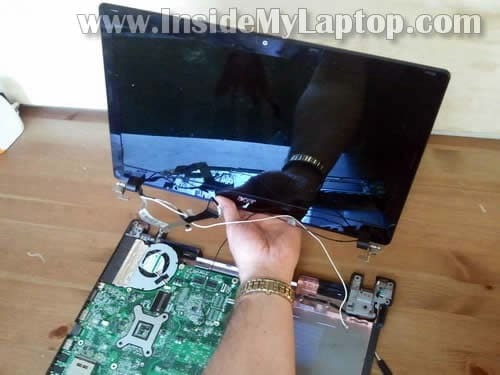 It guided me perfectly when replacing lcd cable. Thanks!! !